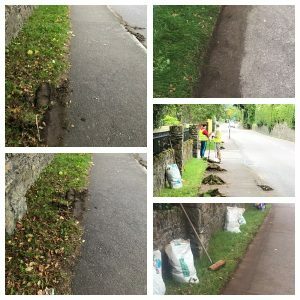 These pictures show the great work Jarlath and Brian, two of our volunteers, have been carrying out on the footpath on the Inniscarra Road. 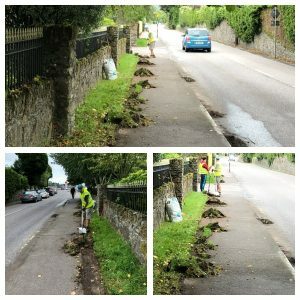 When the clearing was done the depth of the footpath increased by about a foot. This will certainly make it easier for pedestrians.